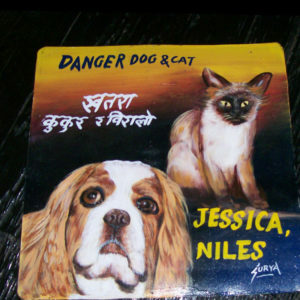 Folk art Siamese, Burmese and Tonkinese Cats hand painted on metal by sign painters in Nepal. 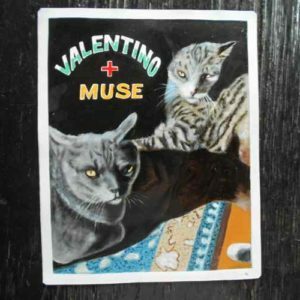 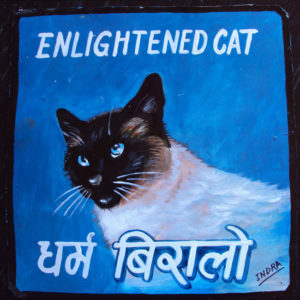 This beautiful Siamese Cat, Simone, with her blue eyes was hand painted on metal in Kathmandu, Nepal. 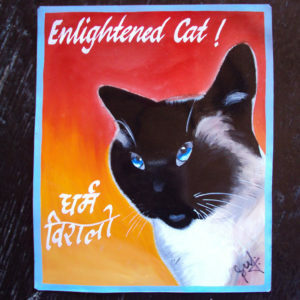 This beautiful Siamese Cat is hand painted on metal by Sufraj Khadka. 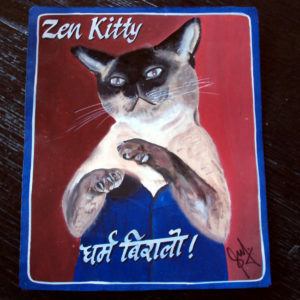 This Burmese Kitty is a Zen Cat. 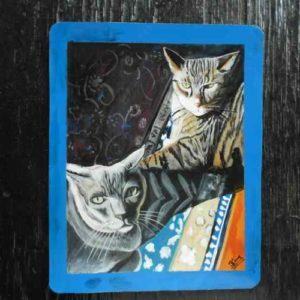 What looks like a 40’s style dress is in reality Lula’s owner’s feet.